3rd Grade S.T.E.M. Project (Science, Technology, Engineering & Math). 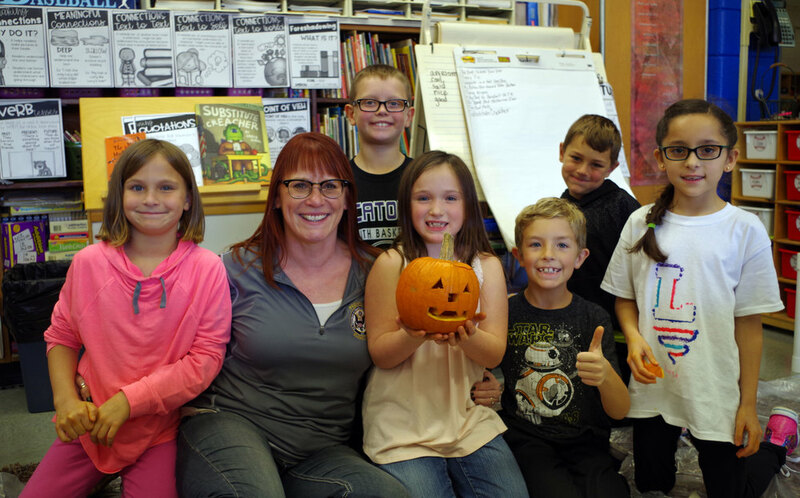 Monday and Tuesday of this week, Mrs. Wenstrom’s 3rd grade class worked on a Halloween themed STEM project. 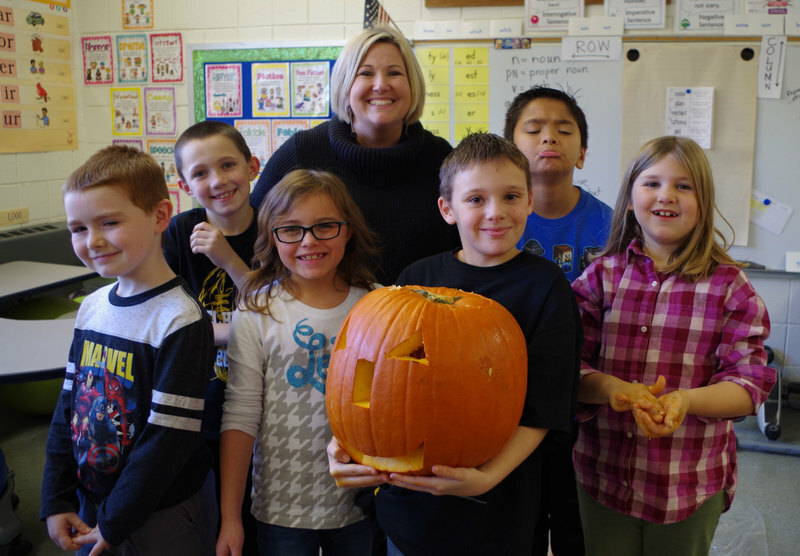 Monday they teamed up in three different groups with a pumpkin to estimate, measure, weigh, count pumpkin seeds and then carve their pumpkin. They measured the pumpkin’s circumference using yarn and then put it on a scale. They opened the pumpkin and removed the seeds organizing them in piles of 10 to count. It was interesting to discover that the small pumpkin had almost as many seeds as the larger pumpkins! The next day Mrs. Wenstrom’s class and Mrs. Benson’s class engineered a candy corn tower out of one cup of candy corns and 100 toothpicks. Their goals was to see which team could build the highest tower in a limited amount of time. The 3rd graders rose to the challenge!